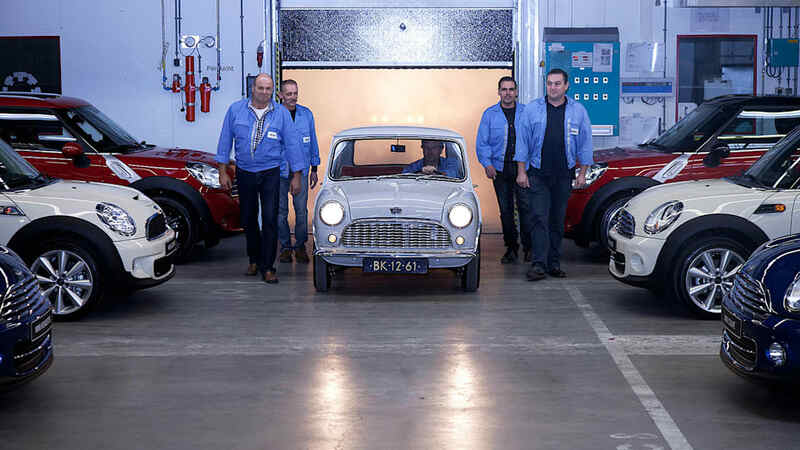 Mini will be kicking off production in the Netherlands, a country that hasn't built a Mini-badged machine since 1966. 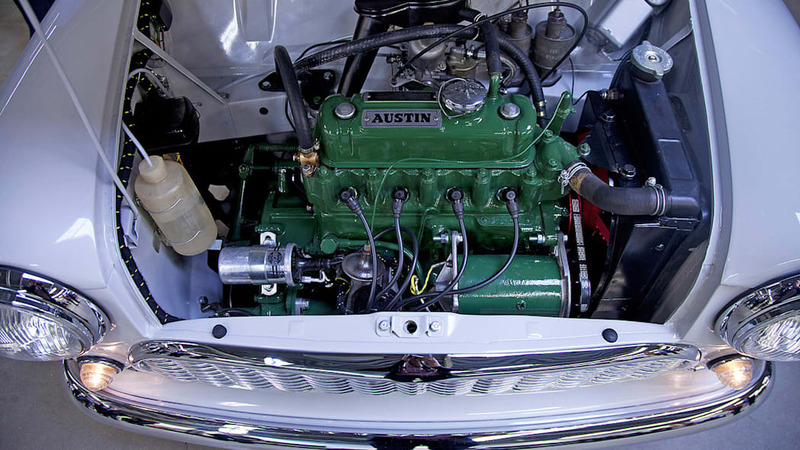 In honor of this event, BMW Group Classic, the team responsible for all the cars in the BMW Museum, as well as being a spare parts and restoration company in its own right, revived a classic 1959 Austin Seven. 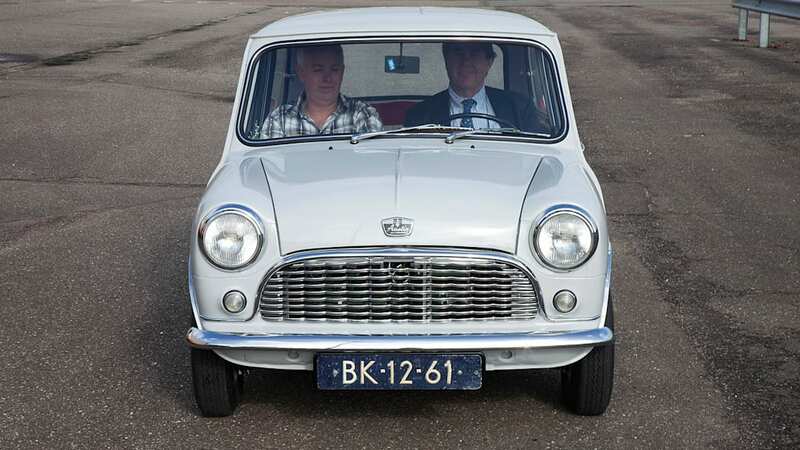 That particular car, number 983, was one of the first Minis to be built in the Netherlands. 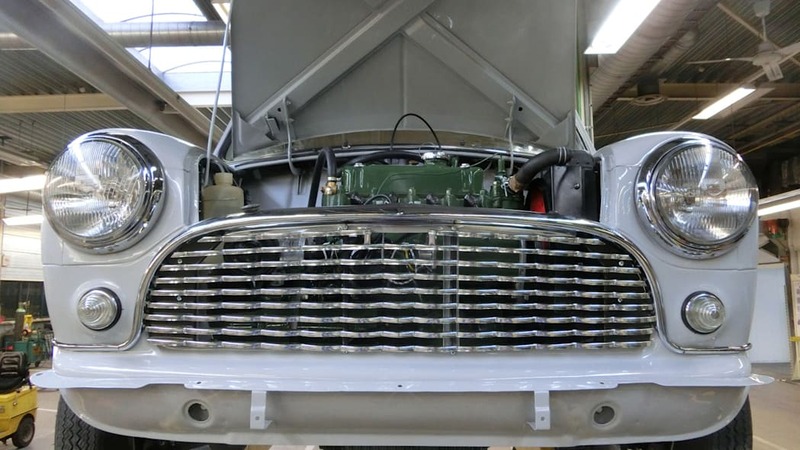 The Netherlands' JJ Molenaar's Car Companies built 4,000 Austin Sevens and Morris Mini-Minors between 1959 and 1966, although we imagine Dutch Mini production will be much bigger when it starts up again in summer 2014. 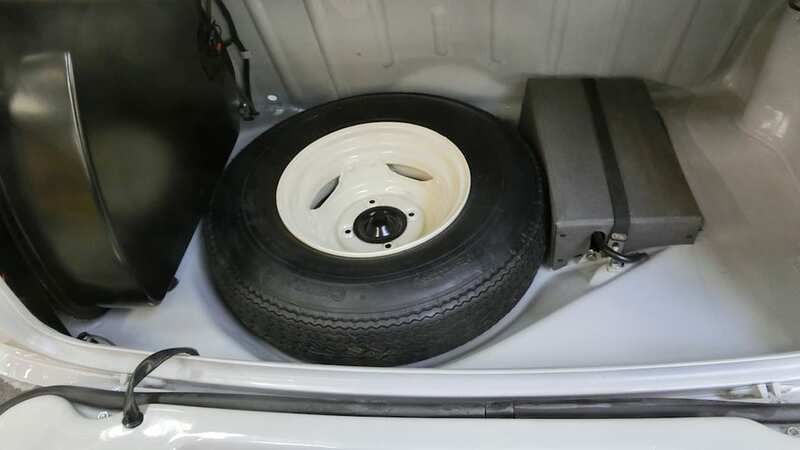 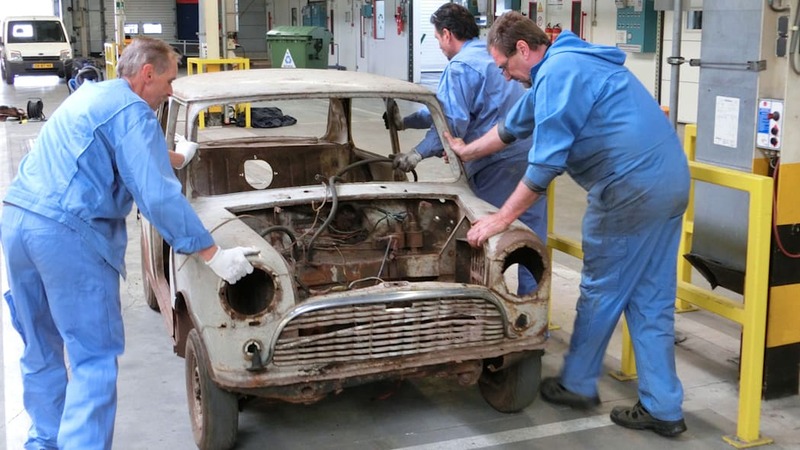 A five-person team from VDL Nedcar, the group handling production of new Minis, took to the job of restoring the diminutive British car from nose to tail. 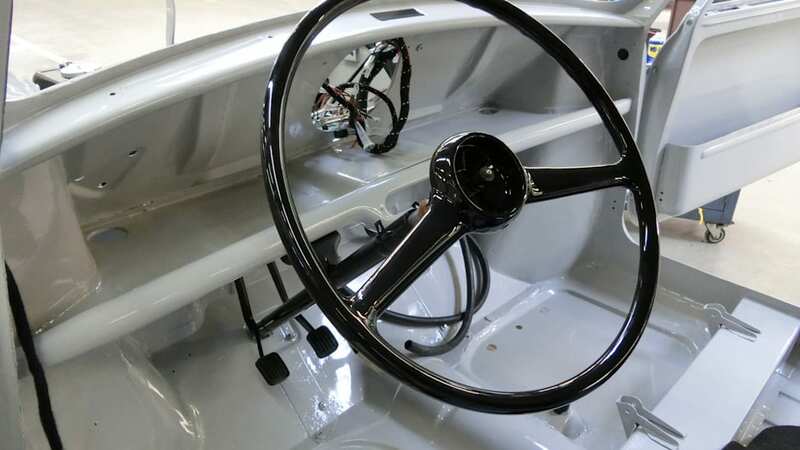 The 34-horsepower engine and the transmission were both completely rebuilt, while the door panels were redone by hand. 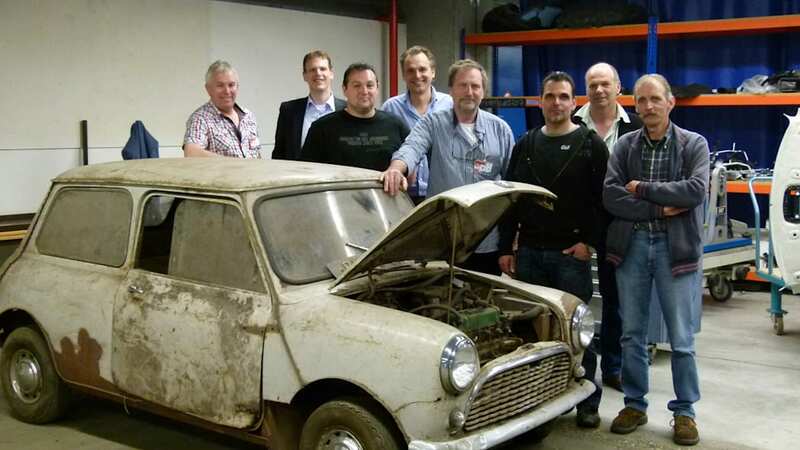 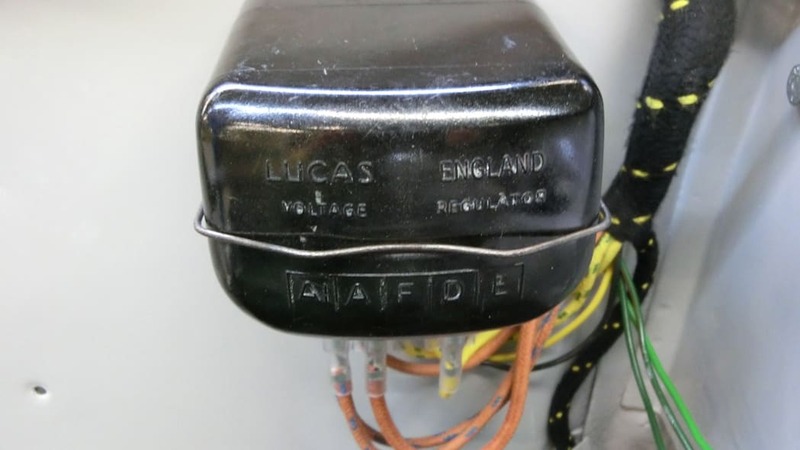 Help from the Mini community aided the VDL Nedcar team in finding authentic replicas or original parts where possible. 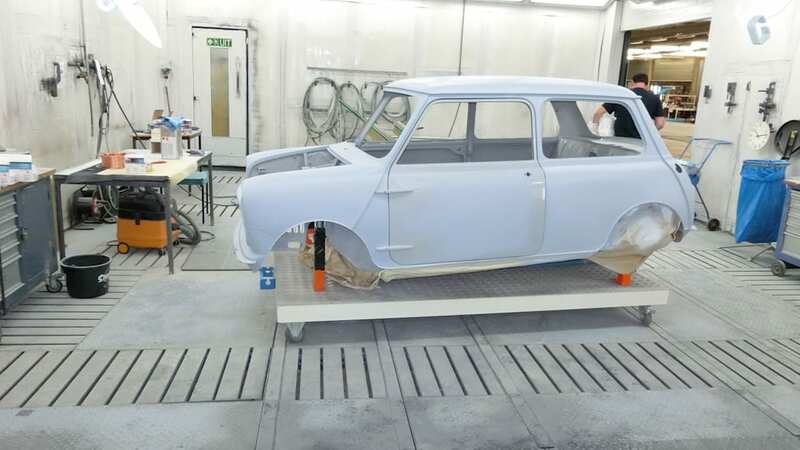 All told, the new classic Mini is a striking example of what a good restoration can do to a car. 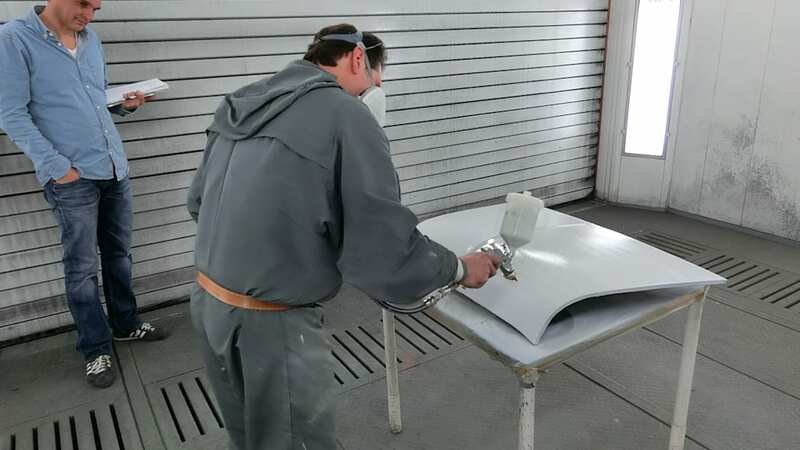 The Seven was repainted in its original Farina Gray, adding to the car's sense of authenticity. 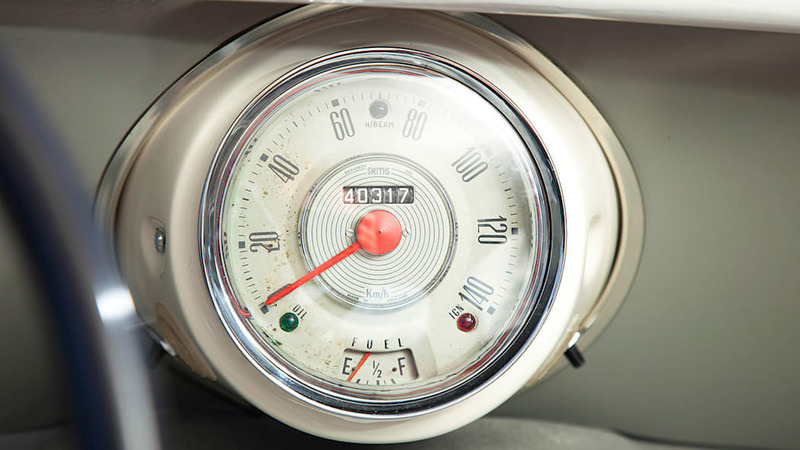 Take a look at the extensive gallery up top, and see just how sharp this 1959 Mini is. 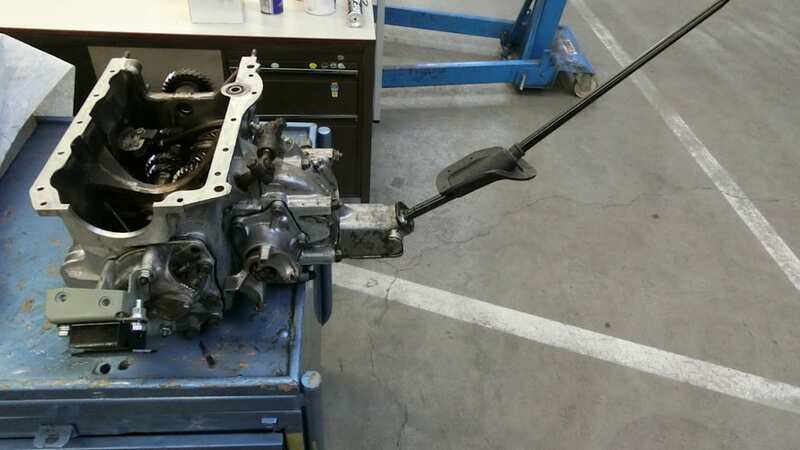 We also have a press release from BMW below that details the rebuild, as well. 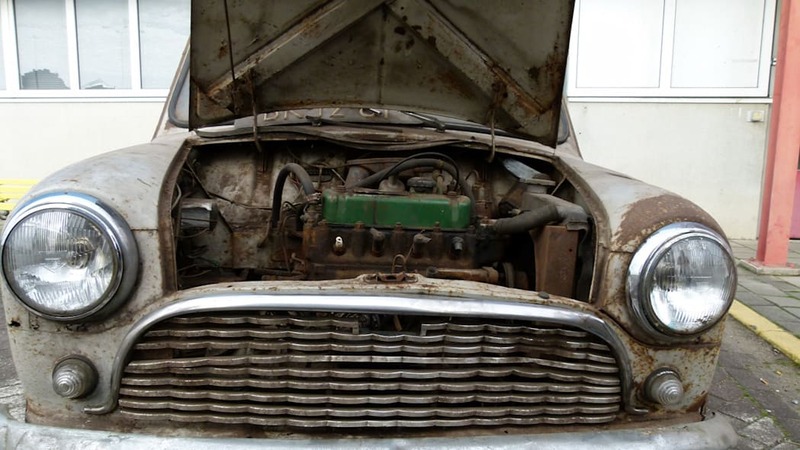 A classic car is "reBorn". 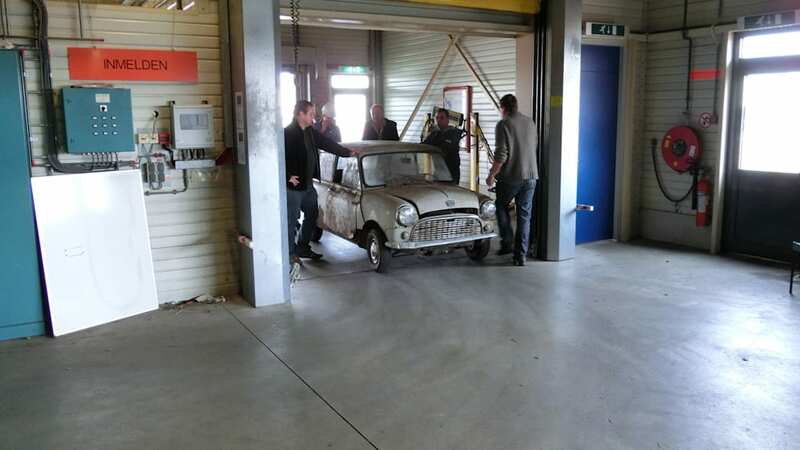 for the start of MINI production in the Netherlands. 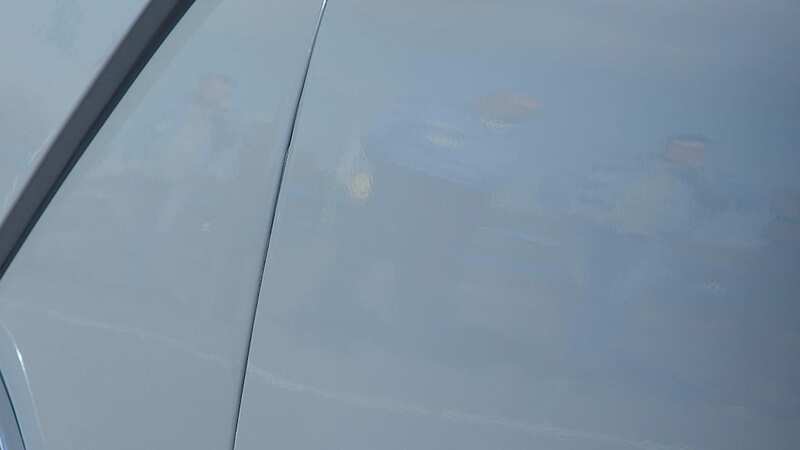 Munich/Born. 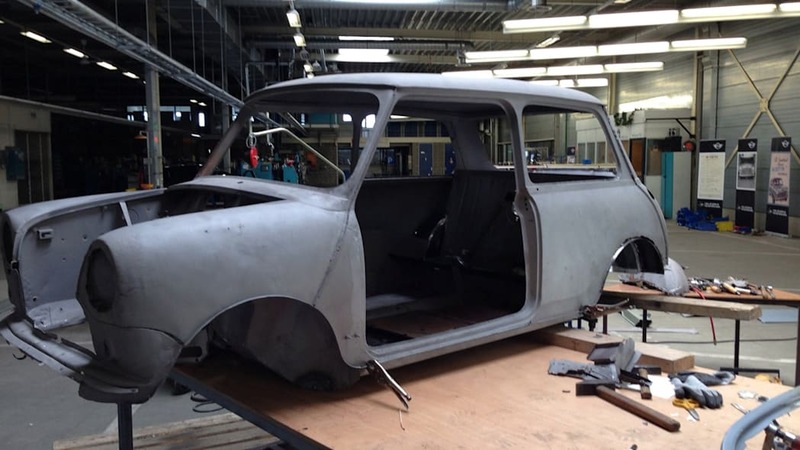 Car number 983 is back on the road, heralding a revival of MINI production in the Netherlands in the near future. 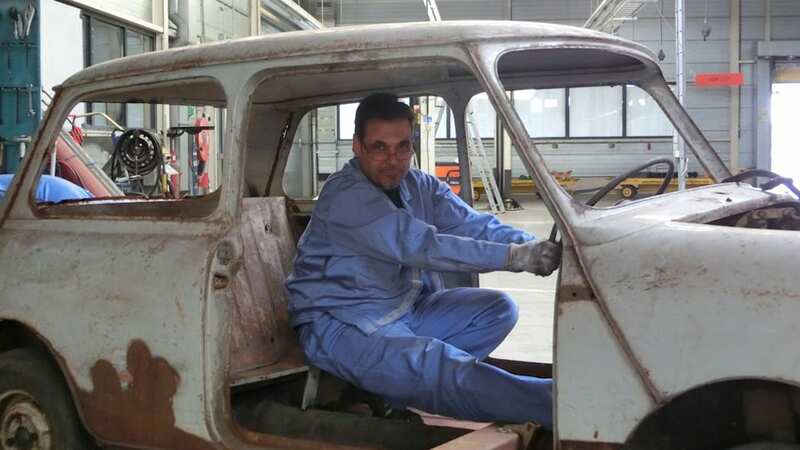 A 54-year-old classic Mini has been fully restored at the VDL Nedcar car manufacturing plant in the town of Born, the precision work lasting around six months. 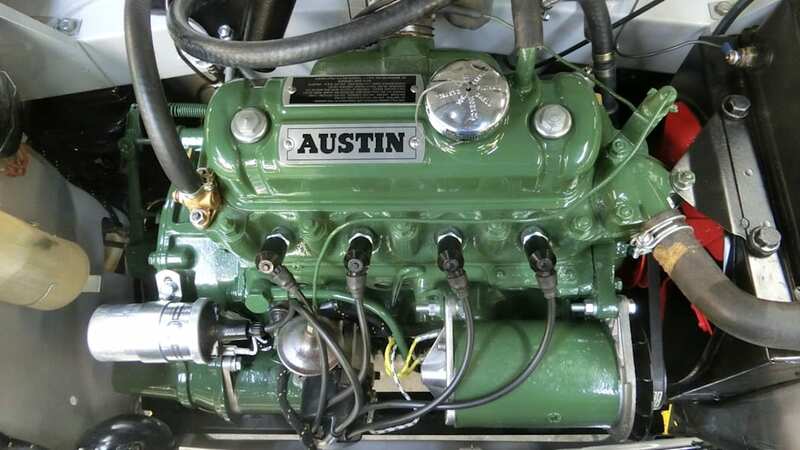 The historic Austin Seven with production number 983 dates back to 1959 and was one of the first examples of the classic Mini to be assembled in the Netherlands. 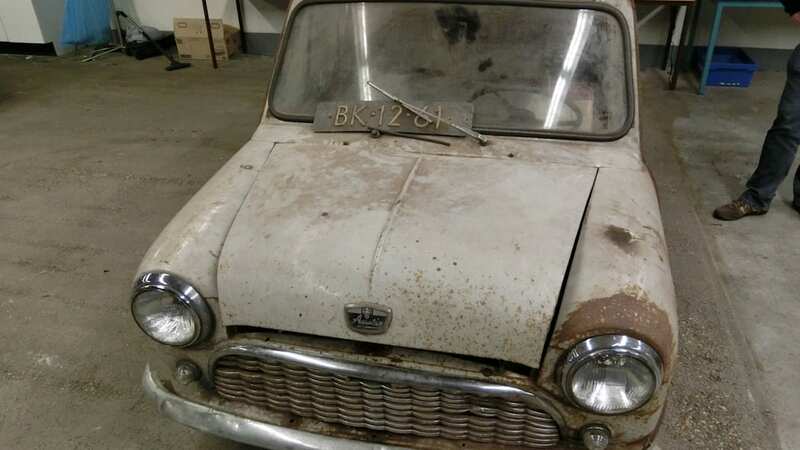 The car was unearthed last year in an old barn in Groningen, ravaged by the passage of time and as such an ideal candidate for the "reBorn" mission. 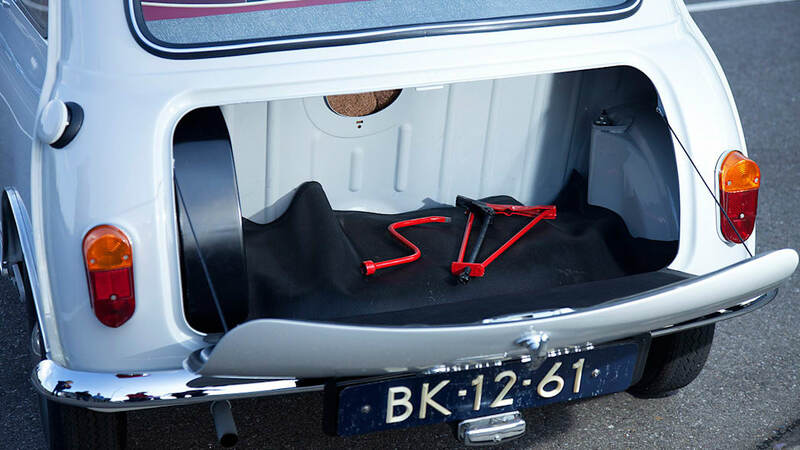 The classic machine has since been imbued with a fresh injection of sparkle, making it the perfect scene-setter for a new chapter in Dutch-British car making relations. 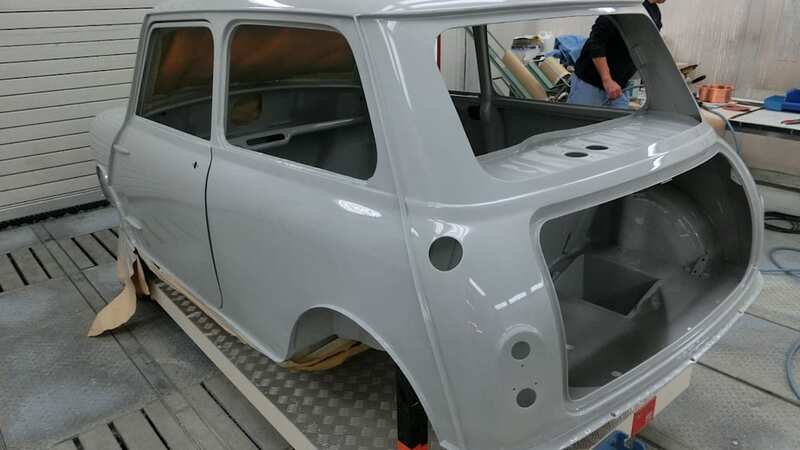 Next year VDL Nedcar will begin production of MINI models under contract; MINI will be the only manufacturer having vehicles series-produced in the Netherlands. 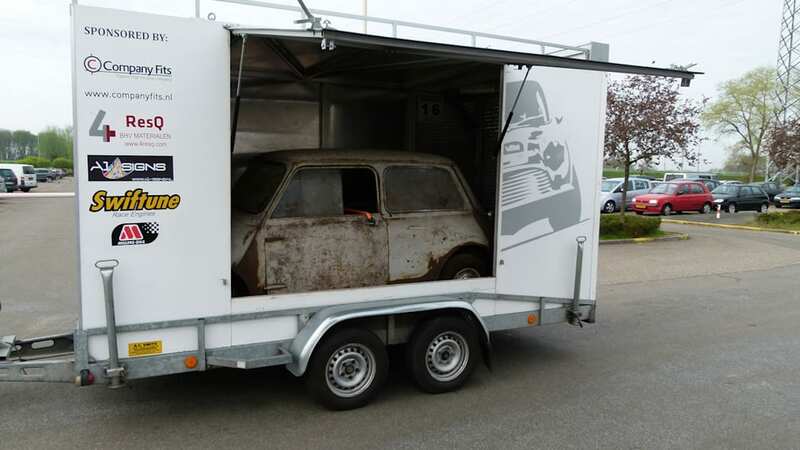 And so MINI is poised to retrace the steps of its historic forebears. 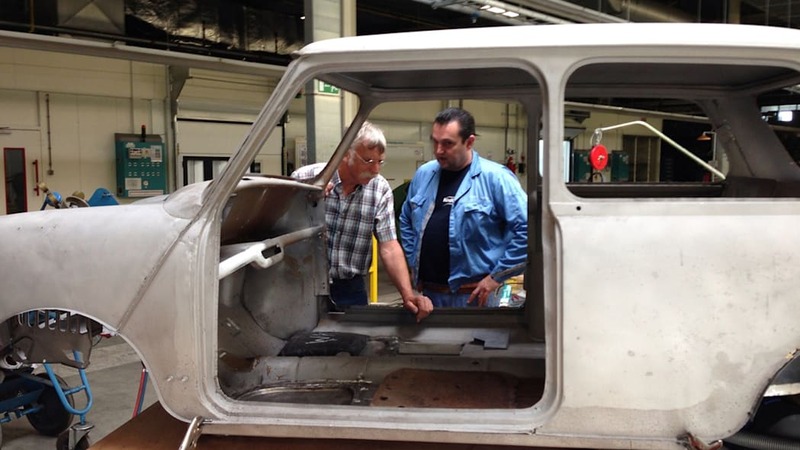 Just a few months after its launch in August 1959 – in Morris Mini-Minor and Austin Seven form – the classic Mini found itself an additional birthplace in continental Europe, the Amersfoort-based firm J.J. Molenaar's Car Companies turning its hand to assembly of the classic Mini between 1959 and 1966. 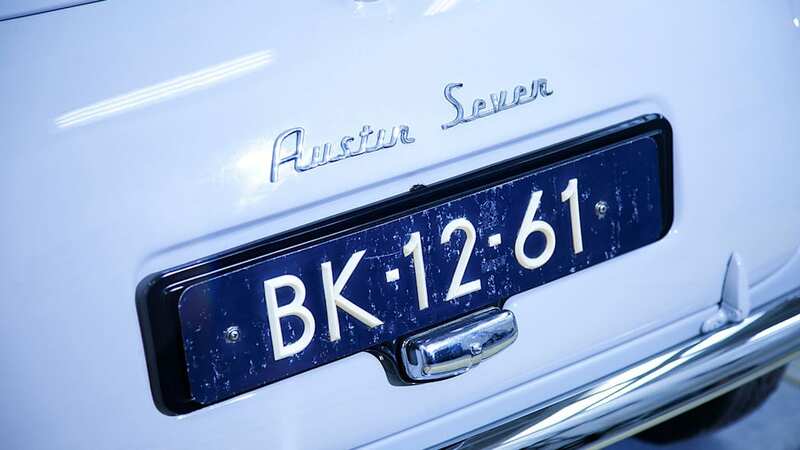 More than 4,000 units were built over this period, using components delivered from the United Kingdom, plus one or two special additions only found in the Kingdom of the Netherlands. 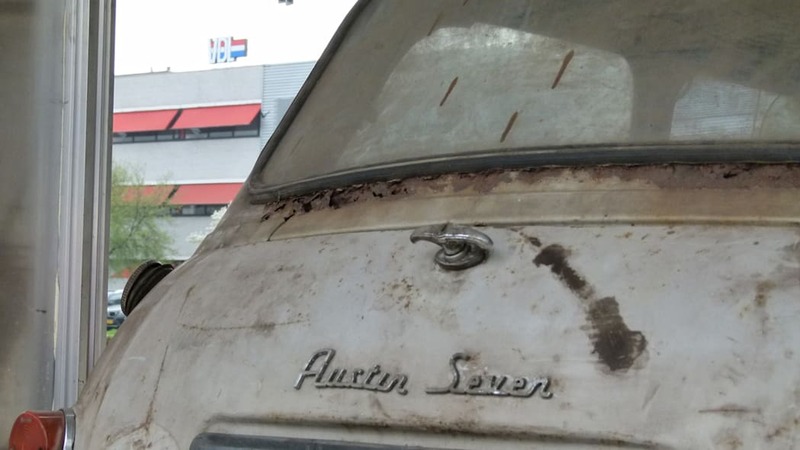 Among the select group of 30 cars built in that first year in Amersfoort was the Austin Seven now making its post-barn comeback. 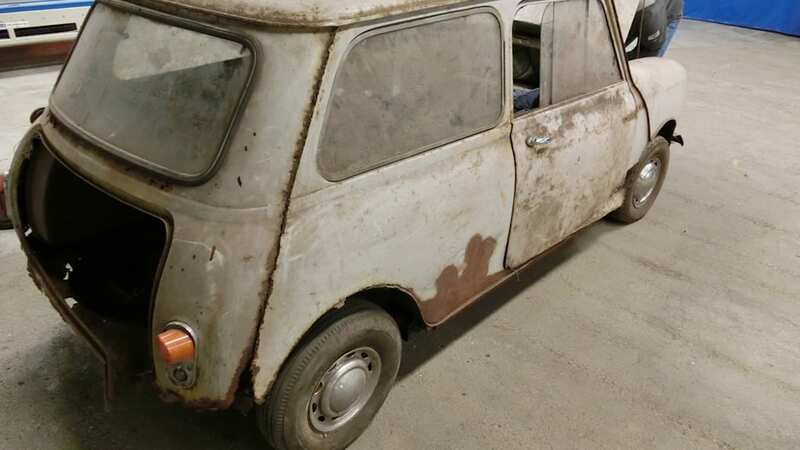 This may therefore be the oldest example of the Dutch-built classic Mini currently in roadworthy condition; it is absolutely one of the oldest representatives of the brand anywhere in the world. 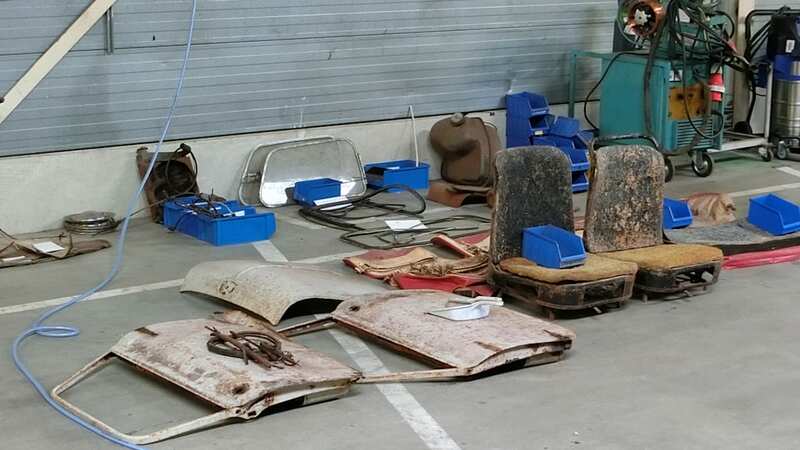 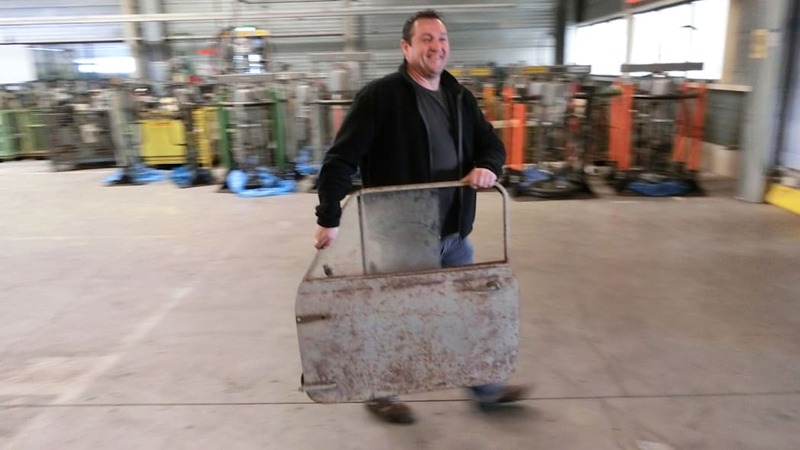 But to top it all, it is a genuine "barn find" having been hidden away in said abode for almost a quarter of a century before being re-discovered and examined by BMW Group Netherlands employees. 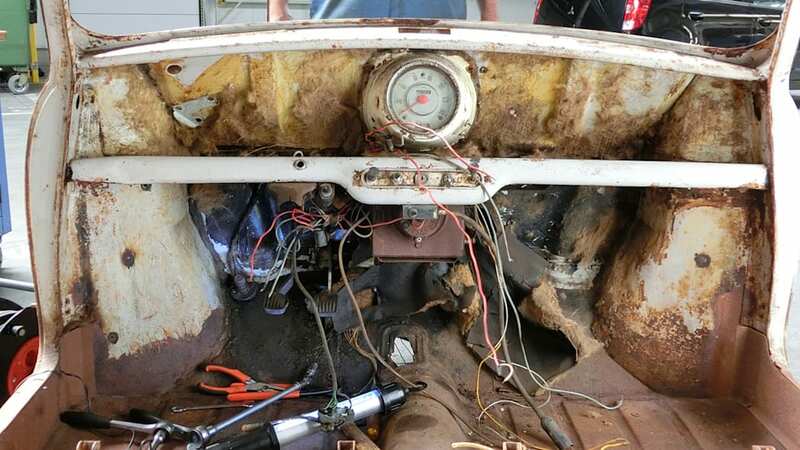 The decision to restore the car was taken quickly, aided by the certainty regarding its origins. 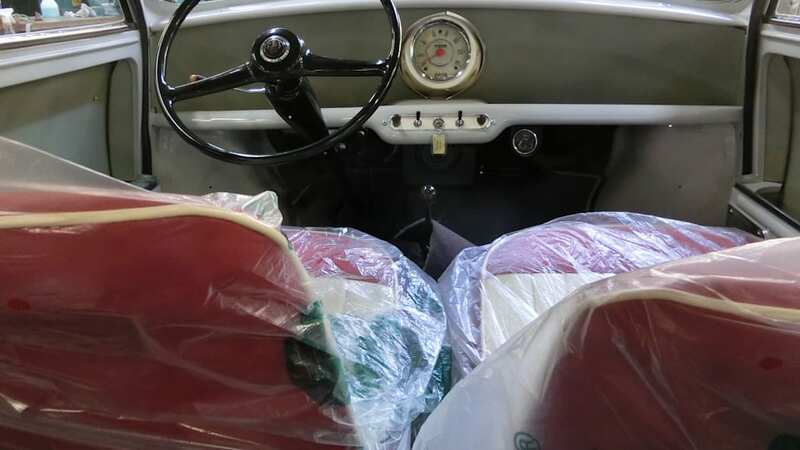 The car's chassis and production numbers were easily identifiable and the seats were upholstered – in traditional Dutch style – using real horsehair. 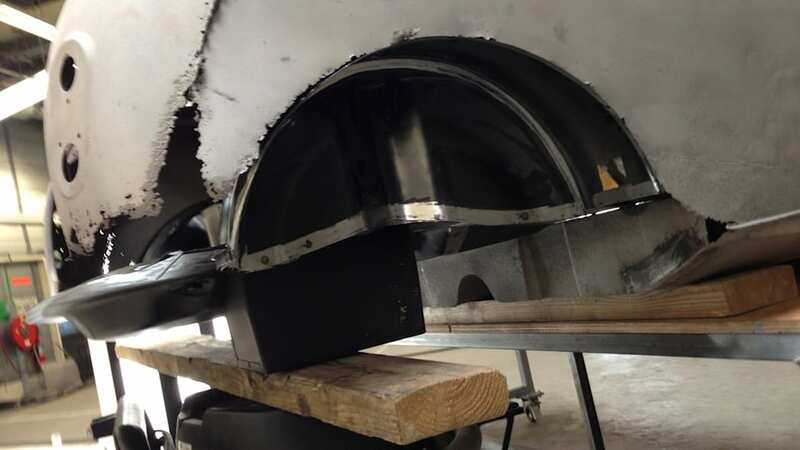 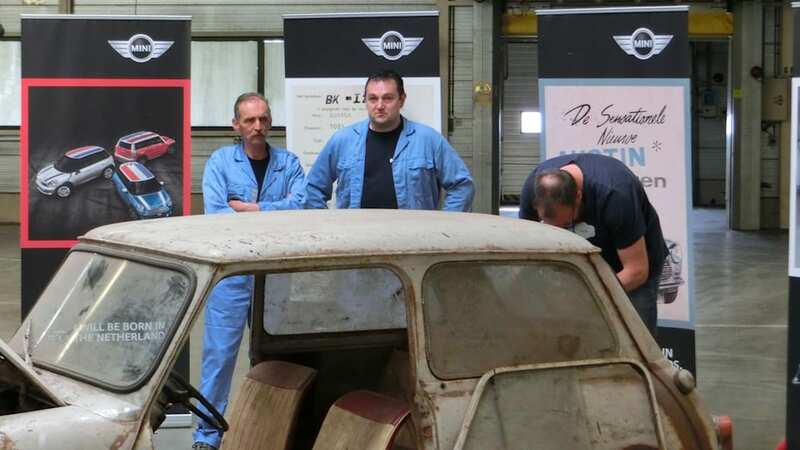 A five-strong team from VDL Nedcar took on the restoration challenge, stripping the classic Mini down to its bare bones before gradually piecing it back together again. 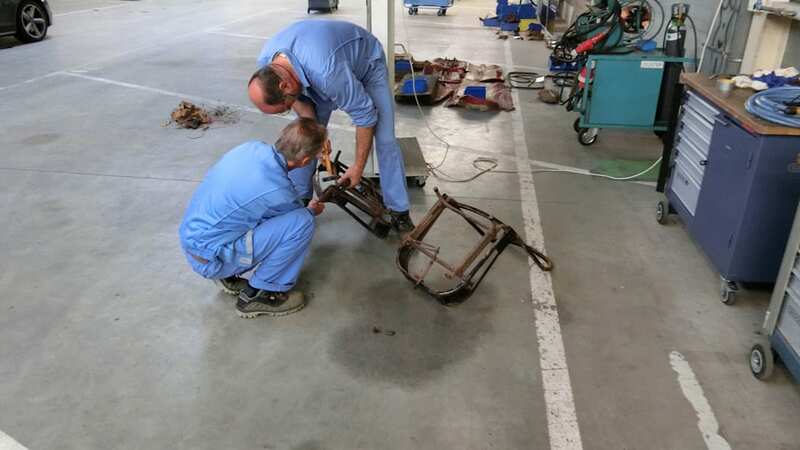 The quintet were able to tap into a reliable well of experience and specialist knowledge in the fields of body and engine construction and apply this expertise extensively. 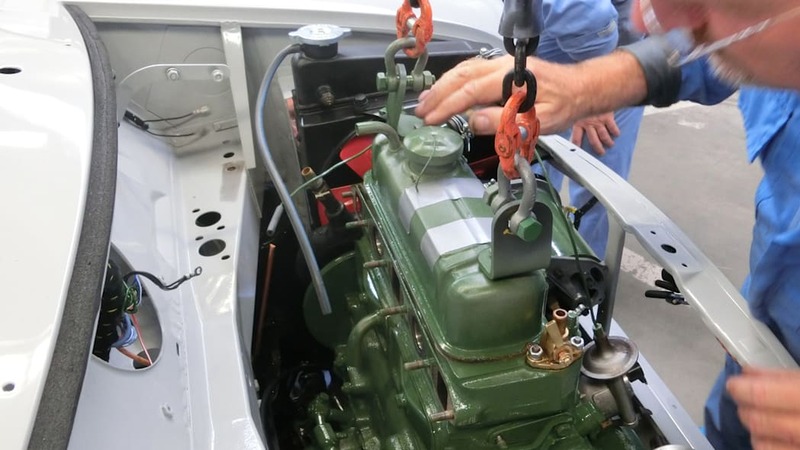 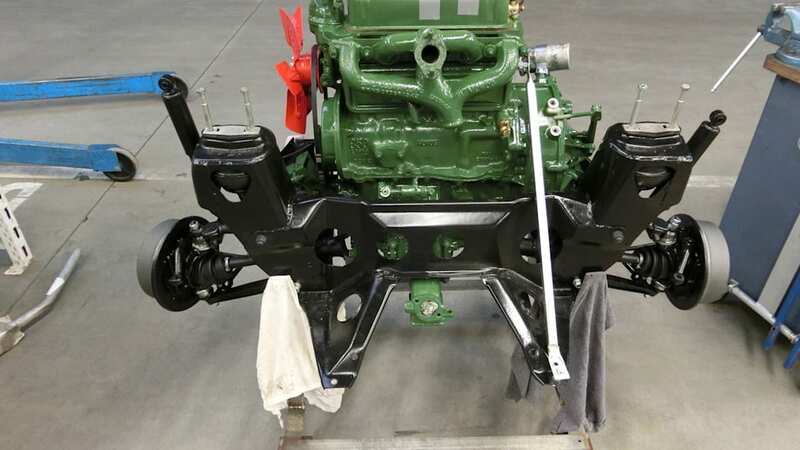 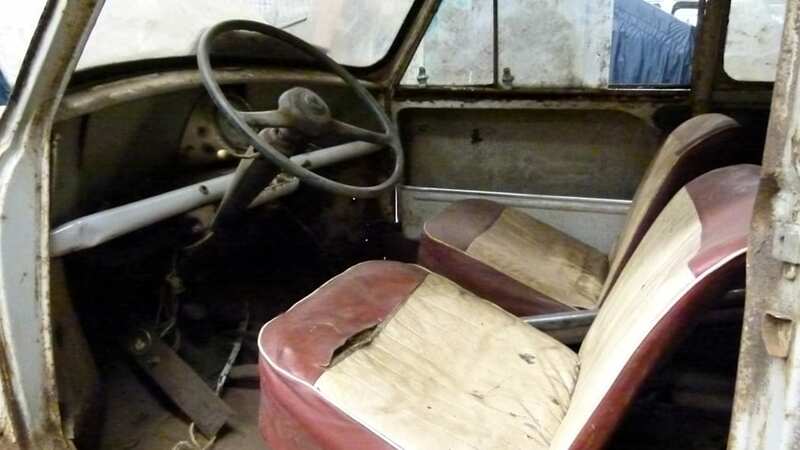 The small 34 hp four-cylinder engine and the gearbox were given a total overhaul and some body parts and the door panels had to be rebuilt by hand. 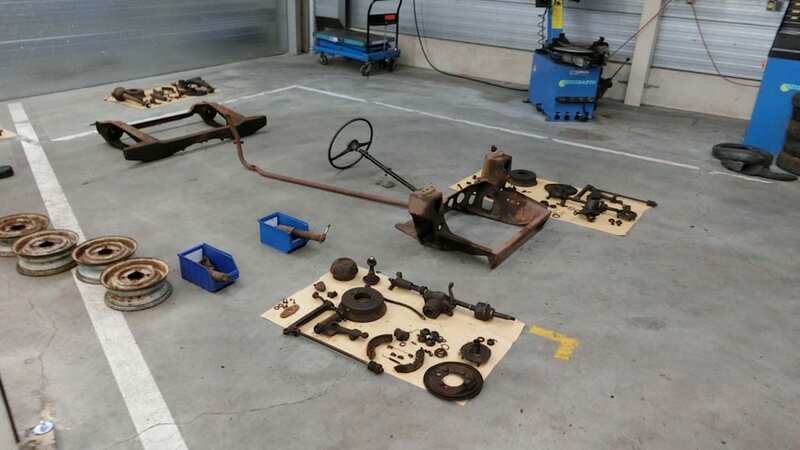 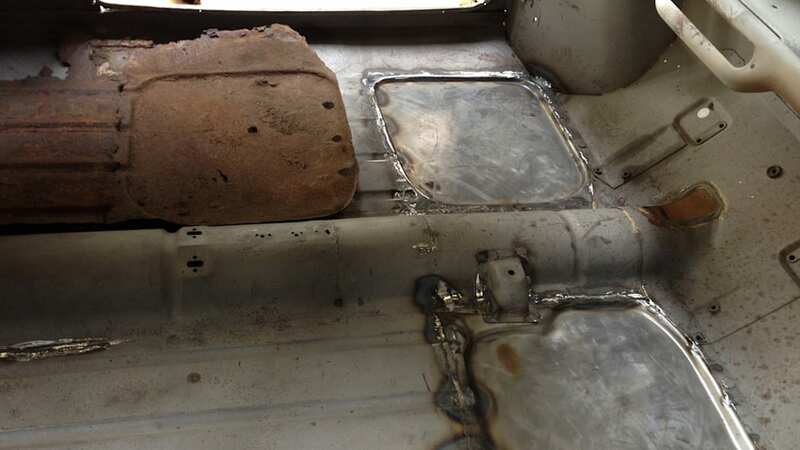 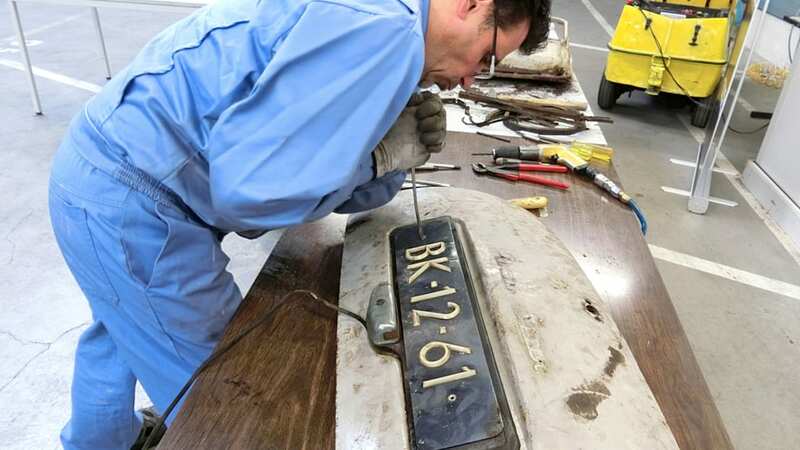 The restorers used faithful replicas of original parts wherever possible and enjoyed valuable assistance from the MINI Community in tracking them down. 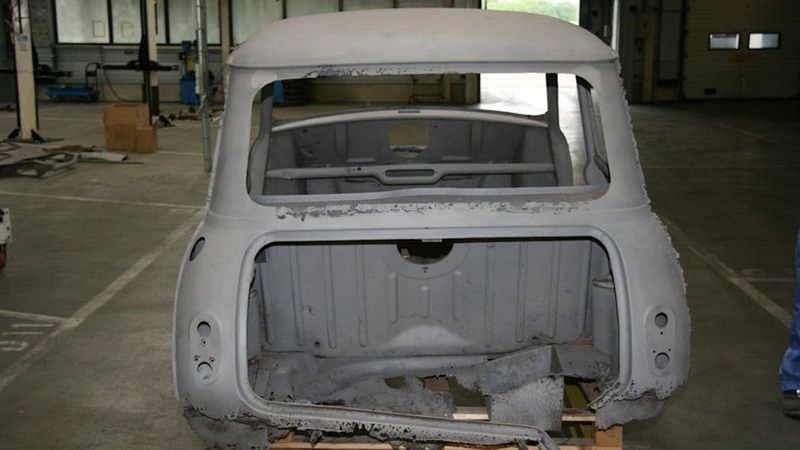 The restoration process was documented in full at www.facebook.com/Mini.reBorn1959, and that attracted a flood of helpful tips – not to mention the odd long-lost part – from sources around the world. 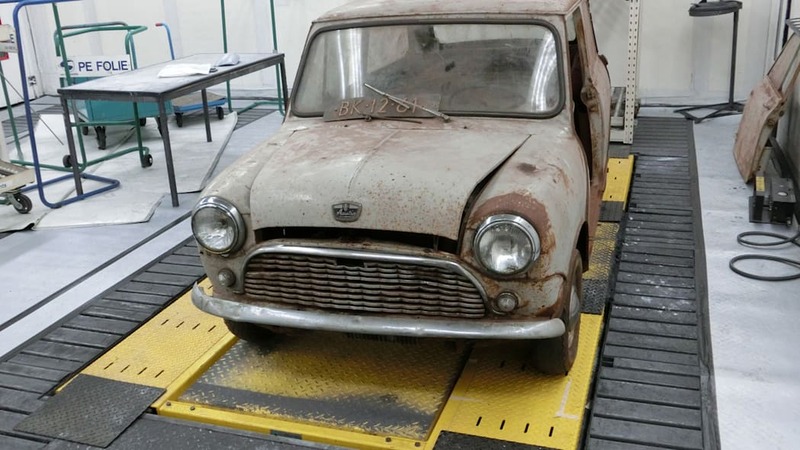 The classic Mini set off on the first test drive of its second life like it was 1959 all over again; the "reBorn" mission had been accomplished. 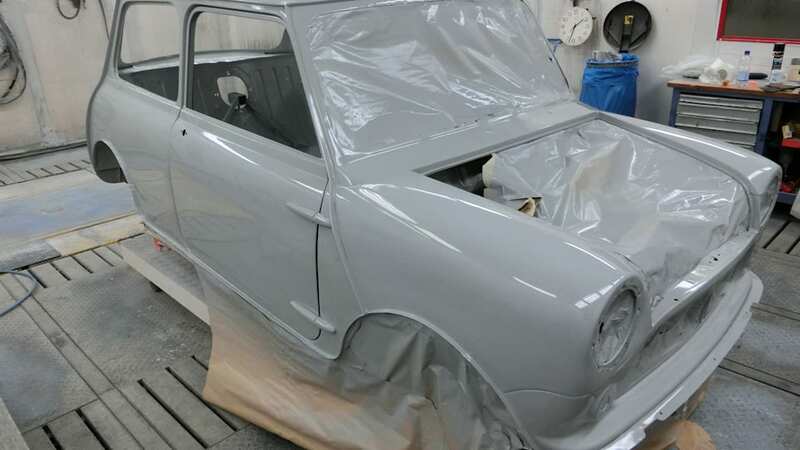 Another contributory factor in the freshness of the car is its new paintwork in the original shade Farina Grey. 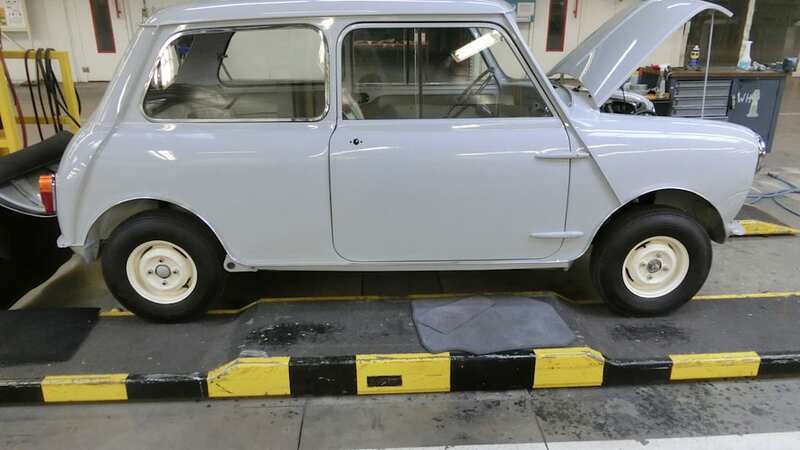 Around 1,500 employees will be responsible for building MINI cars when production starts in Born in summer 2014, and among their number will be the five "midwives" who helped deliver the forgotten Mini back into the world. 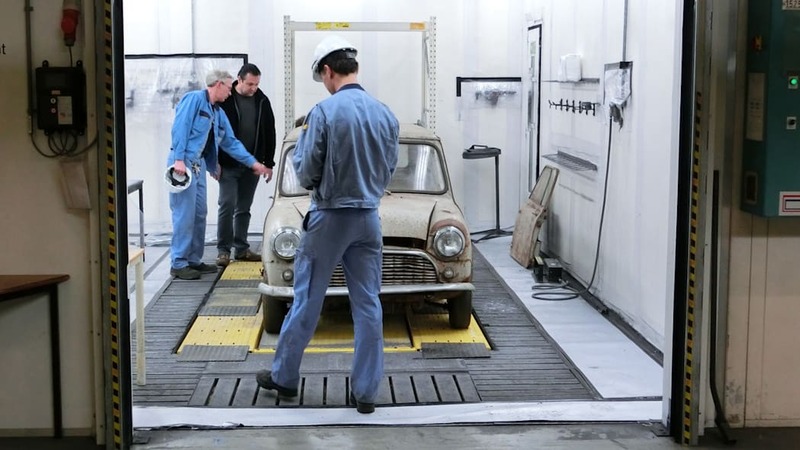 Their efforts are now concentrated squarely on preparing for the future of MINI production at the plant. 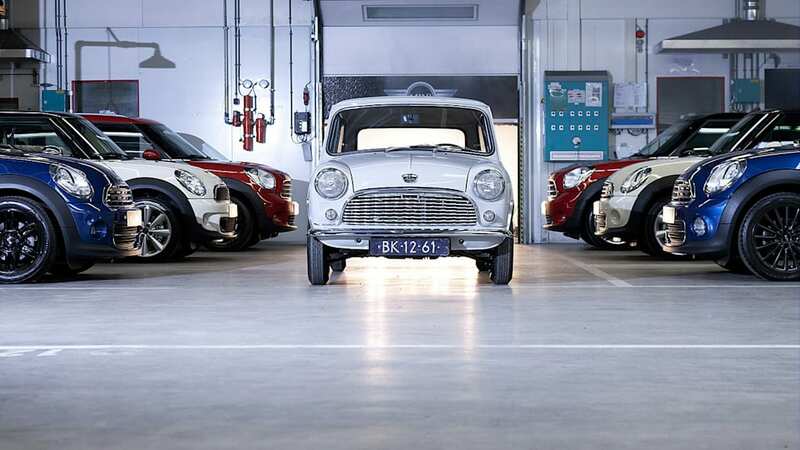 But they are given daily reminders of their journey back into the brand's past as car number 983 – "reBorn" in the Netherlands – looks over them from pride of place in the foyer of the new MINI focused production facility. 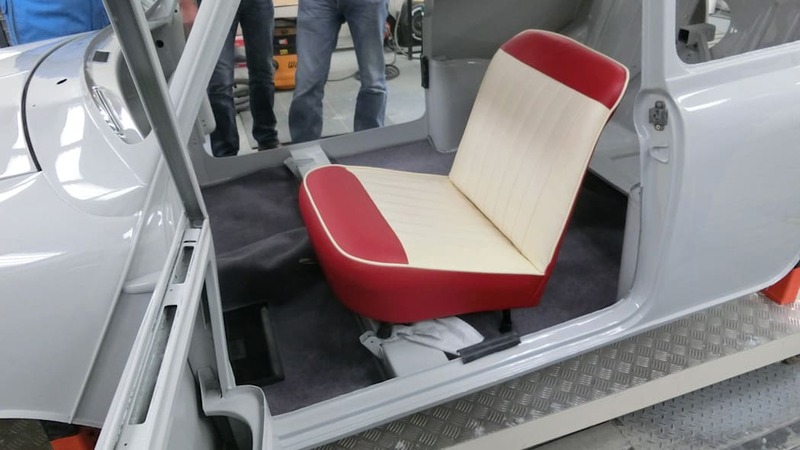 BMW Group Classic is responsible for all activities within the BMW Group associated with the history of the company and its three brands BMW, MINI and Rolls-Royce. 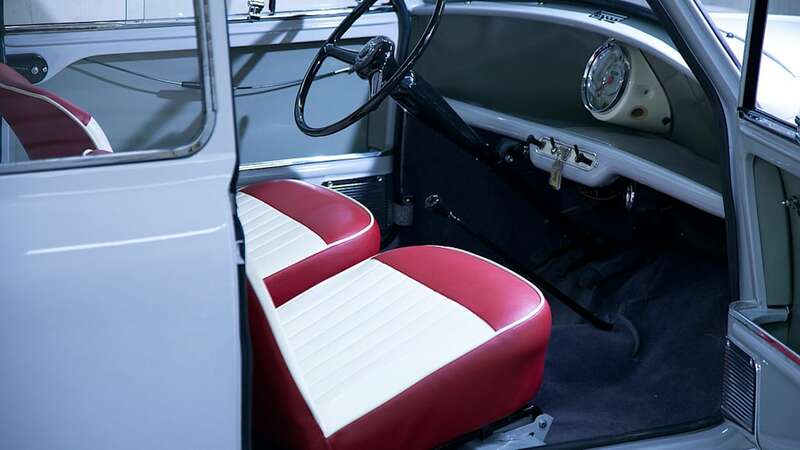 This ranges from the Group Archives, which are available to anyone as a centre of expertise for all the facts and figures surrounding the history of the company, the brands and the products, through the BMW Museum, which receives more than 400,000 visitors each year, to the BMW Classic Centre where all the facilities are provided that drivers require to satisfy their passion for classic BMW vehicles from spare parts to full restoration. 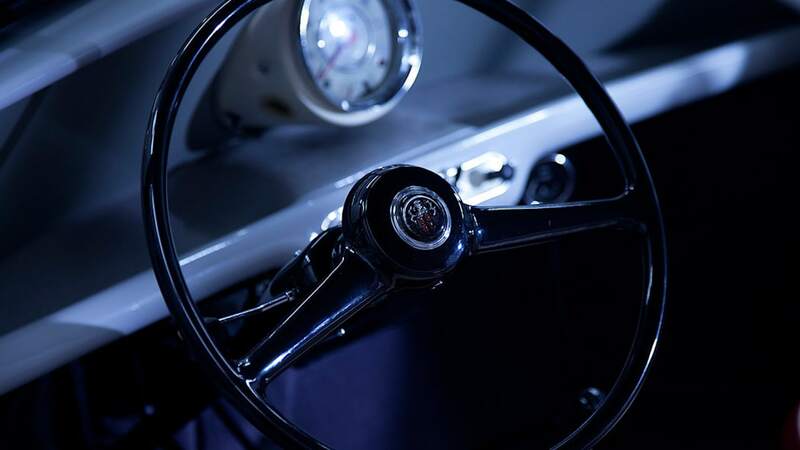 Another aspect is planning and implementation of participation in all the classic events attended, and administration and expansion of the vehicle collection with more than 1,000 exhibits. 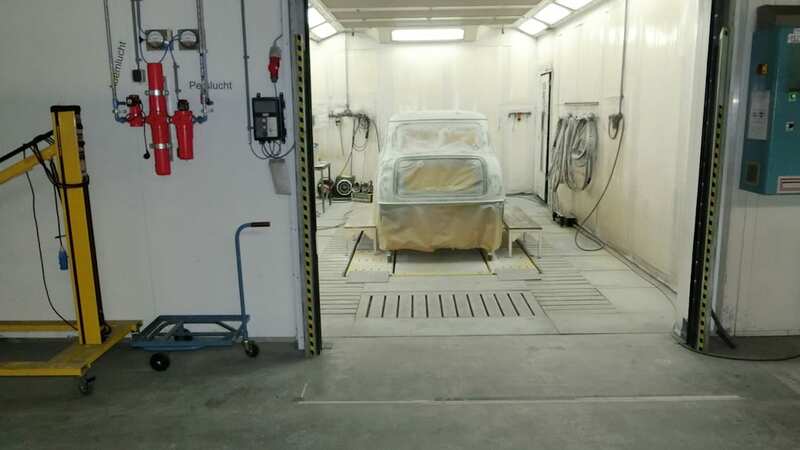 The BMW Group is the leading premium manufacturer of automobiles and motorcycles in the world with its BMW, MINI and Rolls-Royce brands. 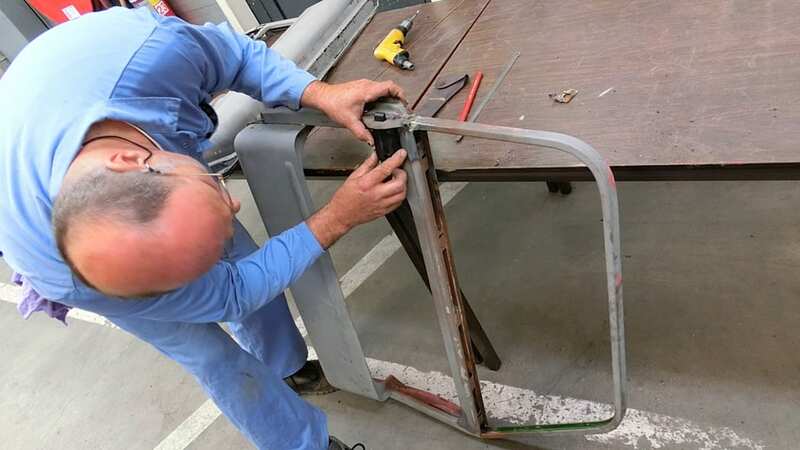 As a global company, the BMW Group operates 28 production and assembly facilities in 13 countries and has a global sales network in more than 140 countries. 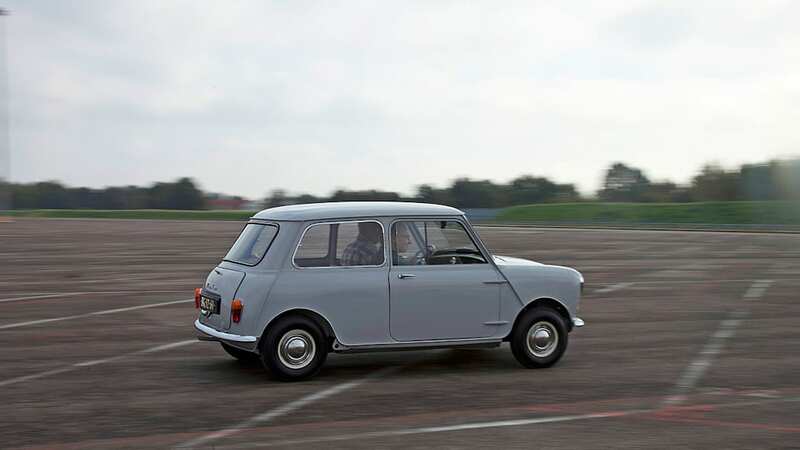 In 2012, the BMW Group sold about 1.85 million cars and more than 117,000 motorcycles worldwide. 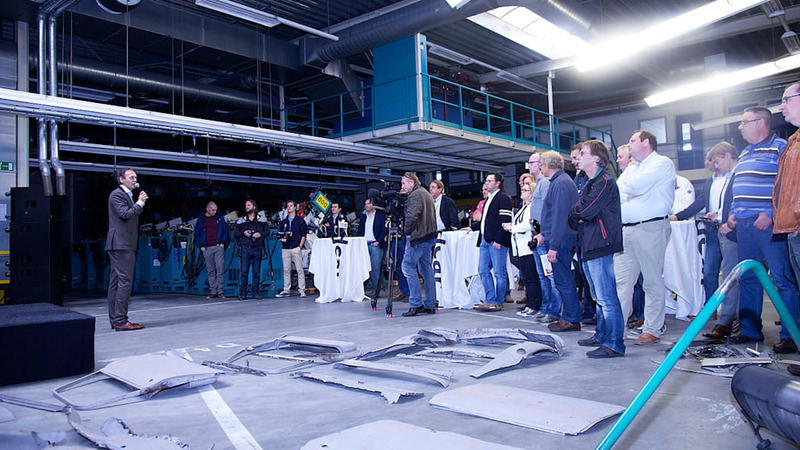 The profit before tax for the financial year 2012 was euro 7.82 billion on revenues amounting to euro 76.85 billion. 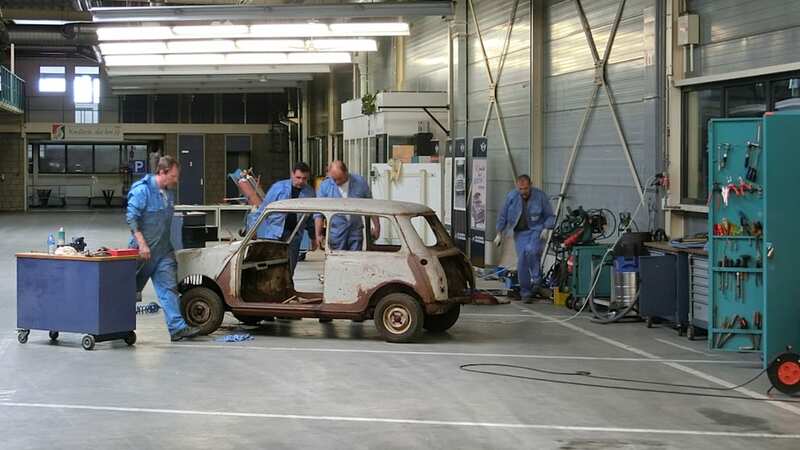 At 31 December 2012, the BMW Group had a workforce of 105,876 employees. 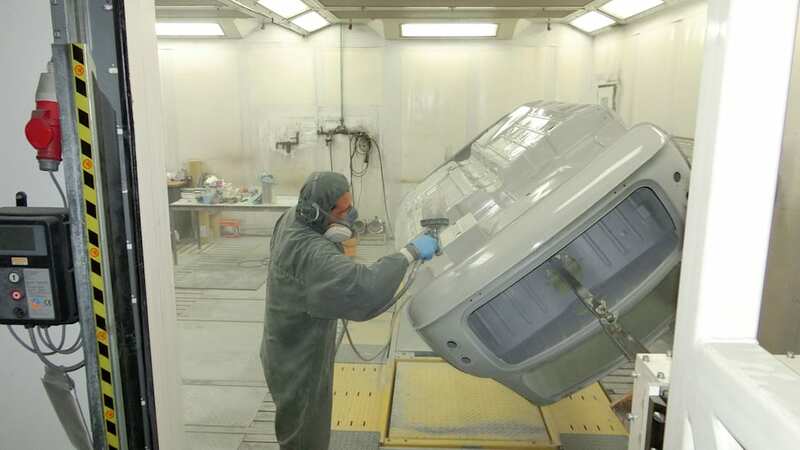 The success of the BMW Group has always been built on long-term thinking and responsible action. 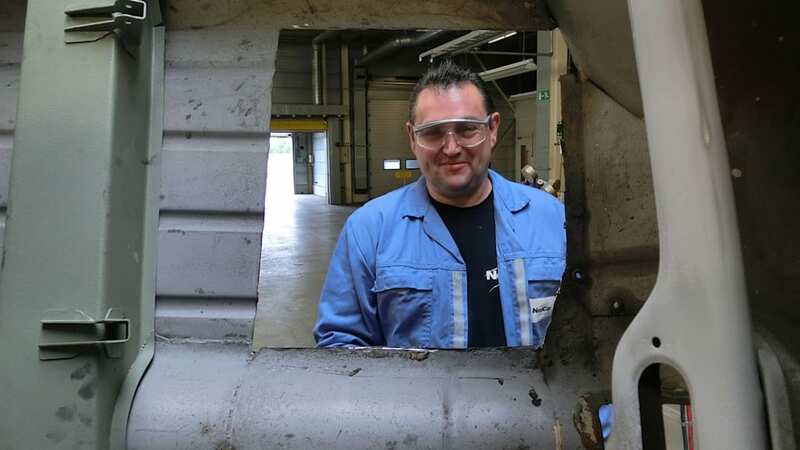 The company has therefore established ecological and social sustainability throughout the value chain, comprehensive product responsibility and a clear commitment to conserving resources as an integral part of its strategy.